Chapter 609 – Alliance Meeting! There were many snakes and dragons mixed into the crowd, and Yue Zhong discovered 12 experts. His senses told him that they were different from the rest. “Who’s that?” Yue Zhong pointed at one young man who was about 21 years and was dressed in white. He had a long sword on his back, his brows were thick and powerful, and his features were unique. There was a proud aura about him, causing Yue Zhong to ask Li Guang. 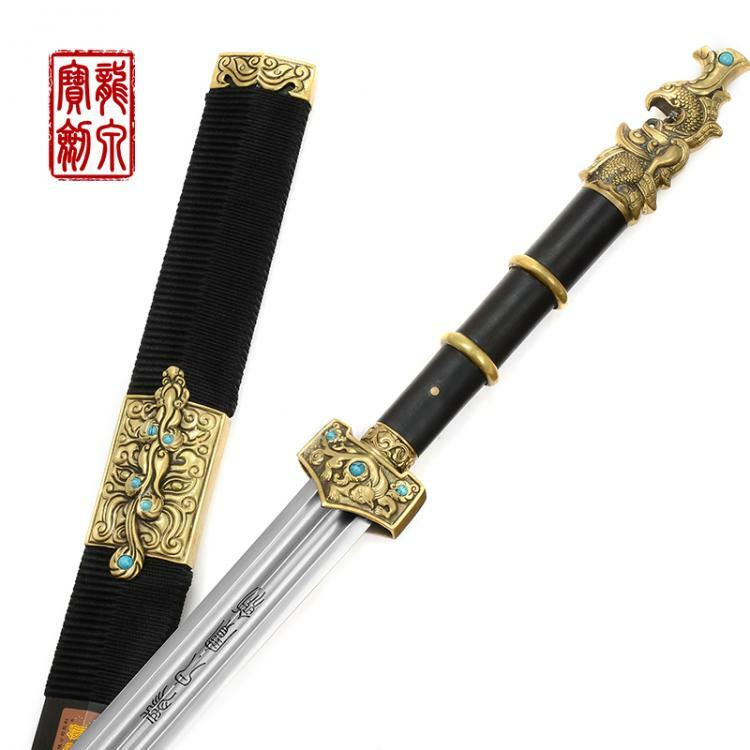 There were few people who used swords, and Yue Zhong mostly came across blade users, as the God and Devil system usually generated the Tang Replica Sword. Of course, there were other sorts of weapons that dropped once in awhile. However, in Guang Xi and Hunan, most of the low-level warlords preferred the Tang Replica Swords. “What about that person?” Yue Zhong looked another burly-looking man, who had a 3m hammer beside him. He was wearing a sleeveless warrior’s clothing, revealing a large amount of chest hair. His entire body was covered in scars, and he was gorging on the meat. As Li Guang continued to introduce the characters that Yue Zhong took notice of, 10 Enhancers came to the stage and sat down. The seats on the stage were set up specifically for the various leaders of the major Han factions. Only those who had over a thousand people under them had the qualifications to sit on those seats. This time, Ximen Lie had invited the leaders of the 10 largest tribes, namely the Heaven’s Wheel Sect, the Scarlet Sun Sect, the Universal Sect, the Heavenly Demon Sect, the Red Triad, the Blue Triad, the Golden Wolf Triad, the Pink Triad, the Green Bamboo Triad, and himself from the Radiant Sun Triad. Of the 10 leaders, 8 were male, while the leaders of the Pink Triad and Green Bamboo Triad were female. Yue Zhong cast a slightly longer gaze at these 2. The chief of the Pink Triad was an ordinary woman with an ordinary physique, however, her eyes radiated with intelligence. The leader of the Green Bamboo Triad was a tall woman of 1.9m, her entire body was rippling with muscles, her waist was thicker than a vat, and her expression was grim. It seemed that not all women leaders were as ravishing as Ding Mei or Shangguan Bing Xue. The moment he appeared, a strange atmosphere overcame the entire venue, as everyone piped down subconsciously, and all arguments came to a halt. When he finished, the rest of the leaders began to introduce themselves, allowing the rest of the audience to get to know them. “It’s precisely due to this, that I’ve announced this gathering, to form an alliance, gather the various heroes from all over the Central Plains, and work together to deal with the Turks, Mongols and the Manchurians! Thank you!” Ximen Lie’s passionate speech resounded all over the venue. After Ximen Lie finished speaking, the venue broke out in resounding applause. The other factions were well-known for capturing people of other races as slaves, and allowing their own people to lead better lives. Such a strategy would strengthen their own people while suppressing the other races. Thus, the unity between their own people would strengthen. However, it was at the cost of the other races. No one was willing to be a slave. Especially since the world had modernized and received an education. The current slaves were all forced against their will due to strength. When many of those who had smaller factions out in the Central Plains thought about the possibility of their own bases being destroyed and becoming slaves to the other 3 great factions, they couldn’t help but shudder. This was why they all responded to this call to form an alliance. Yue Zhong did not like the internal strife, however, if there was somebody who chose to block his path, he would not show them any mercy. As long as it was an enemy, he would stop at nothing to eradicate them, regardless of who they were or where they came from. Even if some Han people wanted to bar his path, he would still kill. Since nobody really disagreed or objected, the motion to form an alliance was pushed through, and every faction present agreed to join. In truth, everyone had already known about this beforehand, and those who had participated were of a mind to join. After all, strength in numbers. Those who weren’t interested would not have sent anybody over. One by one, the various members of the audience began to argue for their own nominations, with many of the secret accomplices that the leaders had sent out beforehand to try and rally for their own backing. The leaders watched the commotion without any sign of stopping them. His voice carried a strange force that immediately overpowered the entire venue. Everyone’s gaze fell onto Pi Jian Yi. Those rowdy men who had been hollering over one another immediately burst out in appreciative laughter. The entire venue fell into chaos again. Many argued fervently. These were all leaders of their own factions with survivors depending on them, who would be willing to give up their position of authority? Yue Zhong observed coldly, and he knew that the solo wanderer Pi Jian Yi would definitely not be able to become the leader. It was likely that it would be one of those from the larger factions.